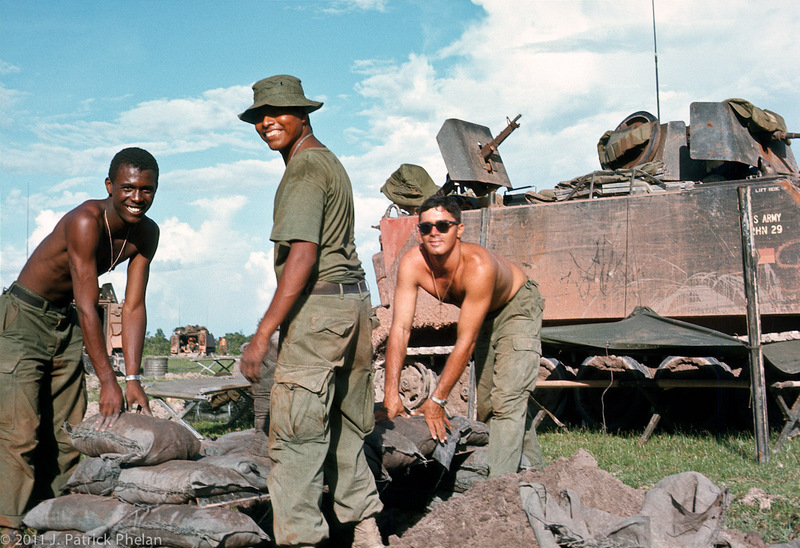 People: Soldiers: The crew of 8 track dig a fox hole and fill sandbags for a night laager site. The crew of 8 track dig a fox hole and fill sandbags for a night laager site. Arnold Plainee, Juan Acuna, and Tom Oliverio.